Whether your Summer Reading Program is a quick orbit or a lengthy trip into deep space, start preparing now for lift-off! Get your checklists ready and come to Mission Control for a day of mission-critical training on goal-driven sustainability, scalability, and flexibility. We will run some simulations, share ideas for exploration, and fuel up for community-centric family summer fun! UHLS member library staff: $16. All others $50. See attached flyer for registration information and more details. The Upper Hudson Library System (UHLS) has a challenging and exciting opportunity for a creative library professional to join our team. We are a cooperative library system headquartered in Albany, NY, providing services to enhance, support and connect the 29 independent public libraries in New Yorks Albany and Rensselaer Counties. at least 5 years of relevant professional experience working in a public library, two years of which must include supervisory responsibilities. This is a full-time position with a competitive benefits package, including participation in the NYS Retirement System. The starting salary range for this position will be $60,000-$65,000, depending on experience and qualifications. Please submit a cover letter, resume, and the names and contact information for three professional references via e-mail to searchcommitteeadult@uhls.org. The review of applications will begin on December 19, 2018 and continue until the position is filled. For additional information about UHLS, visit www.uhls.org. The North Greenbush Public Library in Wynantskill, NY, a Special Legislative District Public Library located in eastern Rensselaer County, seeks an energetic community builder and change agent for the position of Library Director I. Serving a population of approximately 13,000, the North Greenbush Public Library is governed by an eleven-member elected board of trustees and is a member of the Upper Hudson Library System. The library shares space in the Town of North Greenbush Municipal Building, and enjoys strong community support with over 3,000 cardholders and annual circulation of over 100,000 items. The Board is looking for a Director who can work together with the Trustees, our experienced staff, and an active Friends group to continue the growth of this vibrant community resource. The Library Director reports to the Board of Trustees and holds primary responsibility for the operation and management of the Library. Along with regular customer service responsibilities, other duties include collection development; service and program planning and management; budget development and management (QuickBooks currently in use); scheduling and supervision of staff and volunteers; public relations, social media, and community outreach; fund raising; and grant writing. The ideal candidate will be able to demonstrate strong organizational skills and a vision for public library service that engages the community through educational, cultural, and outreach programs and services. The Library Director I position is a Civil Service position (Rensselaer County Civil Service Commission, RCCSC). A candidate that is on the current RCCSC Certification of Eligibles for Library Director I is eligible to receive a permanent appointment to the position. A candidate that is not on the current Certification of Eligibles will receive a provisional appointment to fill the position until a selection and permanent appointment can be made after competitive examination. Provisional appointees are subject to apply and take the examination when offered, pass, and be reachable on the RCCSC eligibility list. Have at least two (2) years of satisfactory professional library experience in a library of recognized standing, which must include some supervisory and administrative duties; and. Demonstrate legal residence in Rensselaer, Albany, Washington, Saratoga, or Columbia Counties for at least four months immediately preceding the date of appointment. The annual salary is $53,000, but may be higher based on the selected candidates skills and experience. The work schedule is 37.5 hours per week, and will include one evening each week. The Library participates in the New York State Retirement System. Employees with 0 - 4 years of service with the Library receive one (1) week paid vacation per calendar year. Candidates meeting the minimum qualifications are requested to email a cover letter, resume, and the names and contact information of three professional references to ngpldirector@gmail.com. A Job Description providing additional information on the North Greenbush Public Library and the responsibilities associated with the position of Library Director is available at https://www.northgreenbushlibrary.org/. Application review will begin on January 31, 2019, and continue until the position is filled. Please find the schedule for UHLS for our participation in the 2019 Library Advocacy Day here. Library Advocacy day is scheduled for next Wednesday, February 27, 2019. Please note that there is additional information on the second page of the schedule related to parking, security, transportation, etc. The UHLS group (we'll be joined by reps from CDLC and some of the local school library systems) will start off from NYLA's "Base Camp" (LOB 120, same place it was last year for those who attended), so that is the meeting spot for the start of the day. Our group will follow the attached schedule throughout the day, so please feel free to "plug in" to the schedule as best fits your own needs and your own schedule. If you or representatives from your library would like to participate in just the meetings with your electeds, or just some part of the day that fits your schedule, or you just want to attend the rally, etc. that's all just fine...any participation makes a difference and all is sincerely appreciated! All of NYLA's statewide messaging information and materials are available on the NYLA website. UHLS will provide packets as "leave behinds" at each meeting from both UHLS and NYLA. We also encourage you to bring along any material from your library that you want to share as part of our advocacy message. Please share the attached schedule with anyone in your library community who may be interested in attending Advocacy Day - staff, trustees, friends, patrons, etc. all are welcome. If anyone has questions or concerns about Advocacy Day or the UHLS schedule, please have them contact Tim Burke. The entire NY Library community thanks you in advance for your participation. The East Greenbush Community Library is currently accepting applications for a part-time Youth Services Librarian to join a dynamic and dedicated team of professionals. Successful candidates should be creative, flexible, and enthusiastic about public service. Providing reference and readers&#39; advisory assistance to children, teens and adults. Planning and conducting storytimes, book clubs, and other programs for children. Assisting in all phases of collection development, including acquisitions and weeding. Maintaining awareness of current trends in childrens literature, child development, and library technology. Position is approximately 8 hours a week, and primarily includes 1 evening per week and every other Saturday. Occasional Saturday or after hour program coverage may be requested. Total of 37.5 hours per week. Assists director with paperwork and manages expense receipts. Will go through passport training and process passports during library hours. Runs circulation desk. Checks books and laptops in/out. Runs pull list & expired hold list. Answers reference questions and requests materials for patrons. Helps process and catalog new materials. Aids with collection management (weeding old materials & suggestion new materials). Maintains displays, posters & flyers. Hosts a weekly children's craft/science activity (STEAM class). Will sub for storytime as needed. Helps at large community events hosted by library. Sends out annual fundraiser acknowledgements. Must possess strong computer skills. Good with children, families, seniors & people with disabilities. Must be able to lift up to 50 lbs, reach low shelves & carry books. Previous library experience is preferred, but not necessary. To apply, please email your resume to director@brunswicklibrary.org with the subject "Director's Assistant". Checks library materials in and out. Performs basic reference work and requests materials for patrons. Answers phones and helps patrons with questions. To apply, please email your resume to director@brunswicklibrary.org with the subject "Library Clerk"
The Castleton Public Library is seeking a part-time Library Aide for approximately 16 hours per week. Schedule generally includes three or four 4-hour weekday shifts per week, plus an occasional 6-hour Saturday shift (once every 4 weeks). Helping customers at the front desk, shelving library materials, operating the copier and fax machine, performing routine clerical tasks, assisting with program preparation, and answering the telephone. Full civil service position description is below. The ideal candidate has strong customer service skills, is detail-oriented, and can efficiently use a computer for work tasks. A high school diploma or equivalent is required. Prior library experience is preferred, but not required. Pay Rate: $11.75 per hour. Send a letter of interest, along with a Rensselaer County employment application (available here), by email to director@castletonpubliclibrary.org, or by mail to Castleton Public Library, 85 S. Main Street, Castleton, NY 12033, Attn: Melissa Tacke. Applications must be received by Friday, April 5. Distinguishing Features of the Class: This position involves performing the duties of charging and discharging materials and related circulation duties at the circulation desk. Additionally, incumbents sort and reshelve library materials as necessary. Performance of related routine clerical tasks may be required. This work requires no prior knowledge of library work as employees are trained on the job. Work is performed under the general supervision of the Library Director, Librarian, or higher-level library employee. Does related work as required. Performs related routine clerical tasks, including changing books, filing cards, writing and forwarding of over-due notices. Full Performance Knowledge, Skills, Abilities and Personal Characteristics: Ability to acquire a working knowledge of library rules and procedures; ability to understand and carry out written and oral directions; ability to deal in a personable and friendly manner with library patrons; accuracy; tact and courtesy; physical condition commensurate with the demands of the position. Minimum Qualifications: Graduation from high school or possession of high school equivalency diploma. ADOPTED: March 25, 1992. CSC MTG. REVISED: March 18, 2004. CSC MTG. 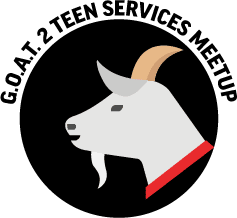 If you thought last year was the Greatest Of All Time (G.O.A.T) Teen Service meetup, I hope you're ready for this year's event--it will knock your socks off! Last year's meetup received such a positive response we are doubling down. Join your teen-serving library colleagues from five states for a FREE day of energizing ideas, problem hacks, and go-to colleagues! If your job includes a focus on teens, youre invited! To keep it free, please BYOL (Bring Your Own Lunch). We'll provide drinks and dessert! Do you want to offer a great service at your library and generate income? Then come to this informational workshop and learn how you can turn your library, (even small libraries with a small staff) into a Passport Acceptance Agency! Calling all Adult Services/Programming librarians! Share your very best program during the Adult Program Swap. April's meeting theme will be literary programs. Bring us your best book club, author talk, writing program, literary festival, writing contest, open mic, etc. Please fill-out and bring with you the swap form so others can learn from your hard work! Spectators welcome too.